7-10 Business on availability, 2-3 weeks as a manufacturing facility we are subject to Lead Time on unavailability. 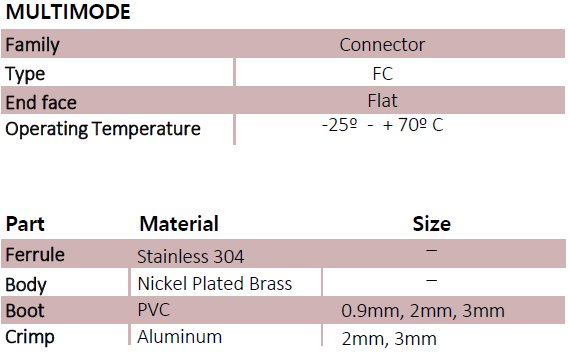 Precision Fiber Products manufactures FC multimode connectors. They come in a variety of ID bore sizes and performance types. Accommodates 0.9mm, 2mm and 3mm fiber types. Available with 0.9mm, 2mm and 3mm boots. Complies with IEC, TIA and telcordia standards. Suitable for high-speed production polishing processes. Conforms to JIS C5973 standard (F04 type connector). For lower quantity pricing if applicable, please contact our Customer Service department.